Through organic practices, farmers have brought back traditional paddy varieties like mappillai samba and neela samba, among other varieties. In Sirkazhi taluk of Tamil Nadu’s Nagapattinam district, farmers have been producing indigenous seeds that once thrived in this land. Through organic practices, farmers have brought back traditional paddy varieties like mappillai samba, neela samba, among other varieties. The initiative to start organic farming and to produce indigenous varieties was supported by an NGO Centre – Centre for Indian Knowledge Systems (CIKS). 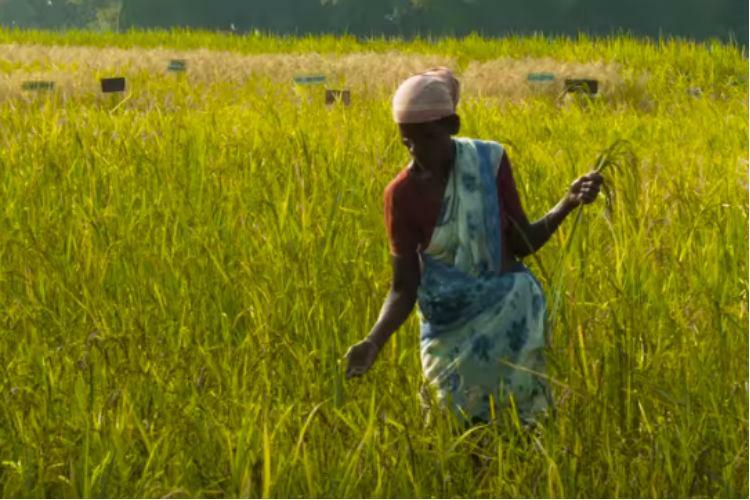 For almost 17 years, CIKS has been working with farmers to turn organic and produce traditional paddy varieties. With their support, the farmers have formed a producer company called Valanadu Sustainable Agriculture Producer Company Limited (VSAPCL). The farmers’ produce obtained is marketed and sold through this company. Manikandan, a farmer from Thennangudi village in Agani Panchayat, is producing over 100 varieties of traditional seeds. According to the farmer, these varieties possess medicinal values as well. “This traditional variety known as Mappillai samba is popular among farmers now. If you look at the features of this rice, it has more fibre. By eating this, one feels more energetic,” Manikandan says, citing an example. As farmers work hard to revive and produce these rice varieties, self-help women groups in the company are giving an innovative touch by making value-added products out of the produce. As members of Tamil Nadu Women in Agri-Business and Extension Scheme (TANWABE), women across villages make vathal, appalam, puttu maavu etc. from traditional paddy varieties. At Pagasalai village in Sirkazhi, Jayalakshmi Balasubramanian, the president of the women’s group, has been actively roping in women for augmenting income opportunities through this business. Jayalakshmi received training and then through NABARD, she conducted various training programmes in different villages. D Ganesh, District Development Manager, Nagapattinam, NABARD stated that NABARD designed a programme on farm sector promotion fund and gave grant assistance to the producer company through CIKS to increase the production of traditional seeds. “NABARD designed a programme on farm sector promotion fund and gave grant assistance to the producer company through CIKS for this very purpose. This is in tune with the government’s goal to double farmer income of small and marginal farmers by 2022. The first harvest had a success rate of 90%. With capacity building, training and exposure visits, the farmers could improve it, and in the next harvest, it will be 100 per cent-,” Ganesh says.